Robert E. "Bob" Lund died Wednesday, May 14, 2003. He was a pioneer, having moved to Jupiter prior to the installation of any traffic signals and the telephone directory consisted of one page. Bob attended Palm Beach High School and graduated from the University of Florida (class of 1950). 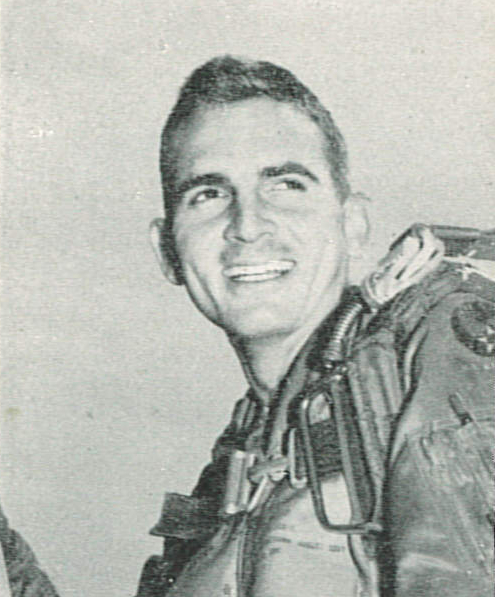 With the advent of the Korean War, he exercised his commission earned at the University of Florida and joined the Air Force. He was accepted for pilot training and sent to Williams AFB in Chandler, Arizona. He received his basic training in the P-80, the first operational jet fighter. This was in the days before ejection seats. Upon graduating from Williams, he attended gunnery school in Las Vegas in the F-86 Sabre Jet. 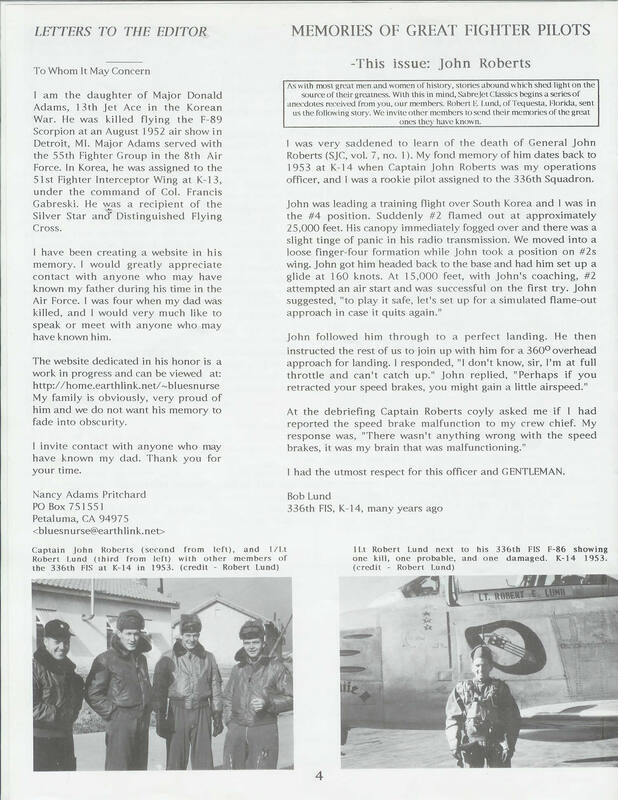 He served as a pilot with the 4th Fighter Wing in Korea. 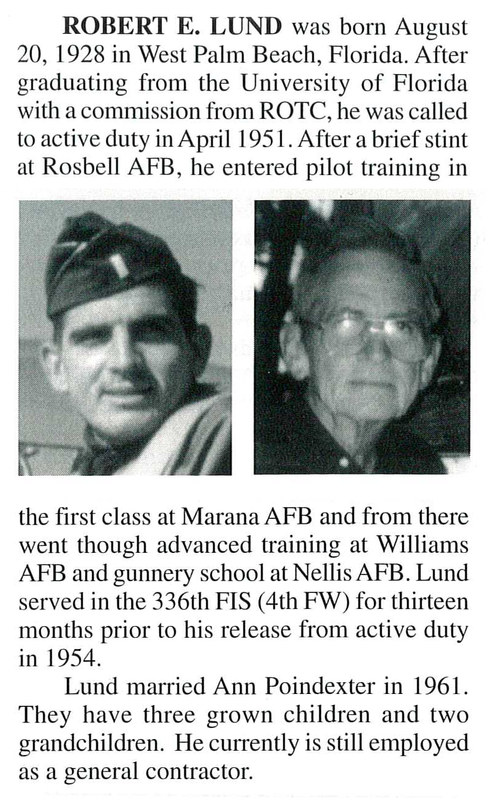 While assigned to the 4th, he was a flight leader and test pilot. He flew 38 combat missions prior to the end of the war. He retired as a Lt.Col. after 28 years in the Air Force Reserve. While in the Reserves, he attended the Industrial College of the Armed Forces and the Staff College of the Defense Civil Preparedness.